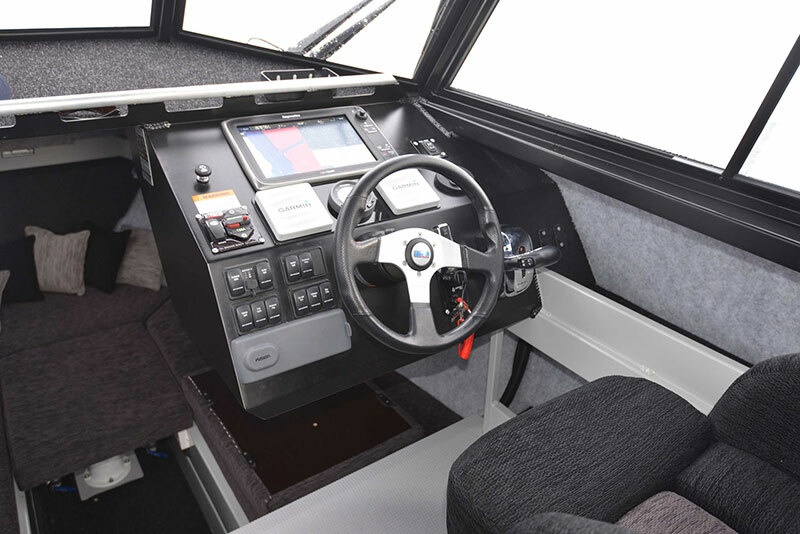 “On the port side there’s a clever seating arrangement that has two fabric-covered seats with a table in between, which is perfect for a coffee or reading your favourite fishing magazine while waiting for the fish to come on. 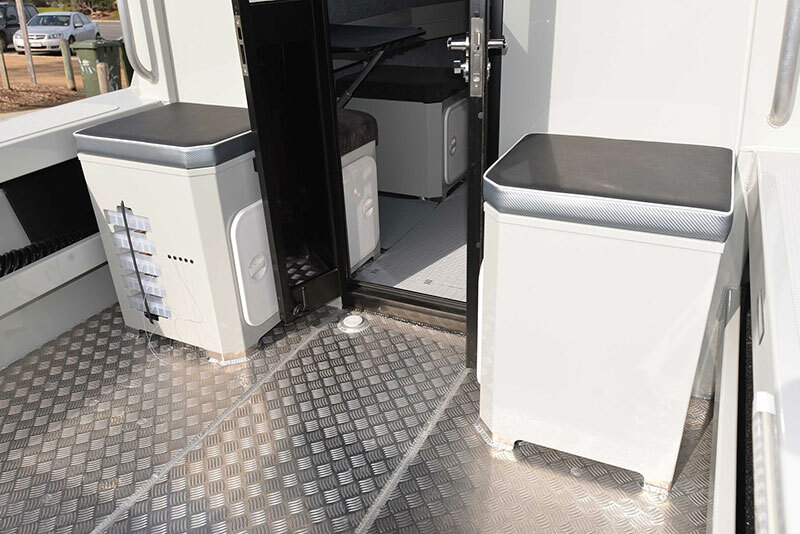 The fully-lined cabin is roomy and functional, with a comfortable V-berth, LED lighting and storage shelves running the full length of the cabin. Under the centre cushions is a plumbed toilet. The HTP series is factory-packaged on a custom-designed galvanised or alloy trailer, which ensures towing, launching and retrieving is a breeze. 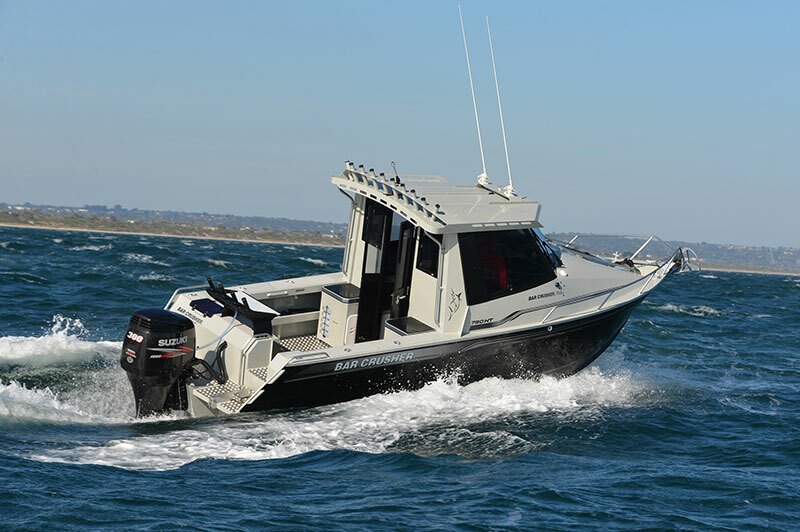 Self-centering and aligning perfectly every time, Bar Crusher’s innovative Bar Catch™ system also allows for single-handed launch and retrieve… a real bonus for such big boats!